"To all social entrepreneurs who are looking to make a difference, whether they are in Africa or in the rest of the world, your work is very important. Social entrepreneurship is needed to take care of a lot of the challenges that we have in developing countries. Social entrepreneurs are patient, sensitive and they have a strong sense of doing what is right to fix the problem. So, hang in there, your work is needed." - Chinwe Ohajuruka is the founder and CEO of Comprehensive Design Services in Nigeria. Chinwe is a US-based architect who splits her time between the US & Nigeria working on sustainable housing development projects. She is a passionate champion of green building solutions for Africa and she engineers and builds affordable green houses that are both energy and resource-efficient. 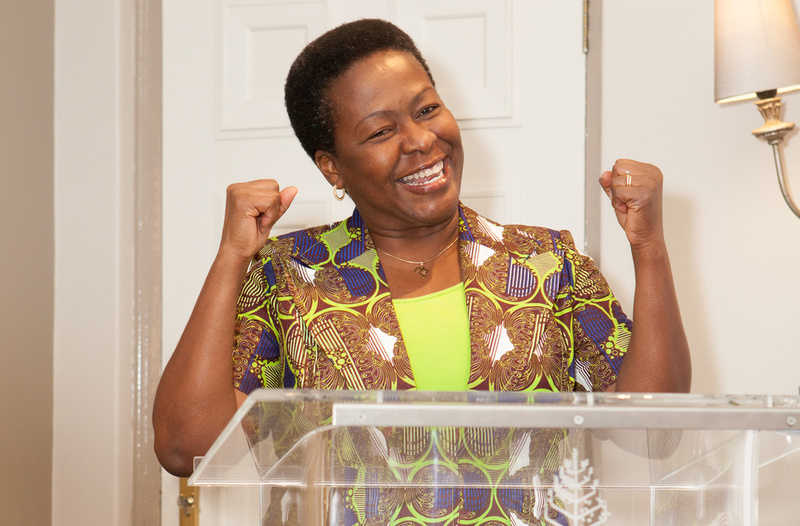 Chinwe was selected as the Sub-Saharan laureate of the 2015 Cartier Women's Awards.